Just when you thought it was over, another case of humans engaging in bizarre acts due to the influence of bath salts happens to have popped up. Thankfully no faces were eaten this time but reports say the parties involved were acting, unsurprisingly, “like wild animals”. 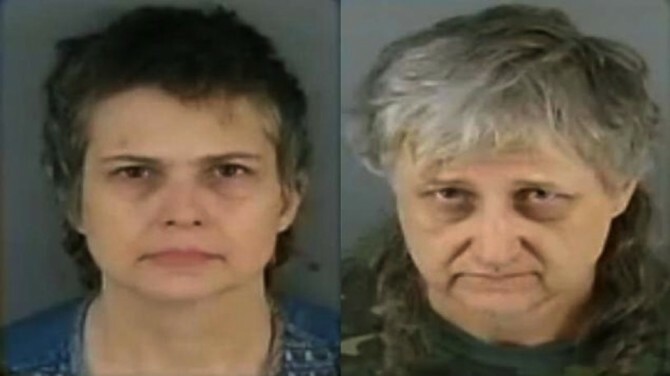 Donna Jean and Phillip Walls who live in Gaston County in North Carolina surprised their neighbour, Pastor Richard Robinson by barging into his house with several weapons, for no apparent reason. Mr. Walls was armed with a .44 magnum revolver and a green military bag full of several other guns while his wife was holding a 9mm pistol and a knife. “They just came stumbling in, waving a gun like someone was after them,” Debra Robinson said. “She was delusional. She was acting like a wild animal.” Pastor Robinson’s son-in-law had been on the phone talking to the Walls’ when he realised something seemed wrong with them, as Phillip kept repeating the Pastor’s name. Richard Robinson then received a call from his son-in-law warning him to be careful around his neighbours, and at that moment the Wallses burst into the Robinsons’ house. “They pretty much had their own little army,” she said.